© SAUL LOEB/AFP/Getty Images Robert Mueller. You don't get a much more Trumpian series of events than this one: Special Counsel Robert Mueller tells President Trump's legal team what questions he wants Trump to answer; Trump's team leaks it to the media; Trump goes on Twitter to complain about the questions being leaked, amidst a blizzard of other nonsense. When Donald Trump is involved, every new development in this most serious of scandals quickly turns to farce. To be fair, we don't know with 100 percent certainty that Trump's team leaked the questions. But The New York Times reported that the questions were "read by the special counsel investigators to the president's lawyers, who compiled them into a list. That document was provided to The Times by a person outside Mr. Trump's legal team." So that's where they came from. But more importantly, they show the breadth of Mueller's investigation, and what kind of trouble Trump could be in. We don't know yet if Trump will ever sit down to answer these questions, and the inevitable follow-ups. It has been widely reported that Trump wants to submit to questioning, so confident is he of his own innocence and his ability to run circles around Mueller, while his lawyers quite sensibly regard that as a spectacularly stupid idea. But in the end, he may have no choice; if Mueller wants to he can serve Trump with a subpoena, in which case he'd have to testify before the grand jury without the benefit of a lawyer present. It all depends, therefore, on how far Mueller wants to take a confrontation with the president. The questions are all broad, of the kind you'd start with in an interview before following up with more detailed questions. "What knowledge did you have of any outreach by your campaign, including by Paul Manafort, to Russia about potential assistance to the campaign? ", for instance. 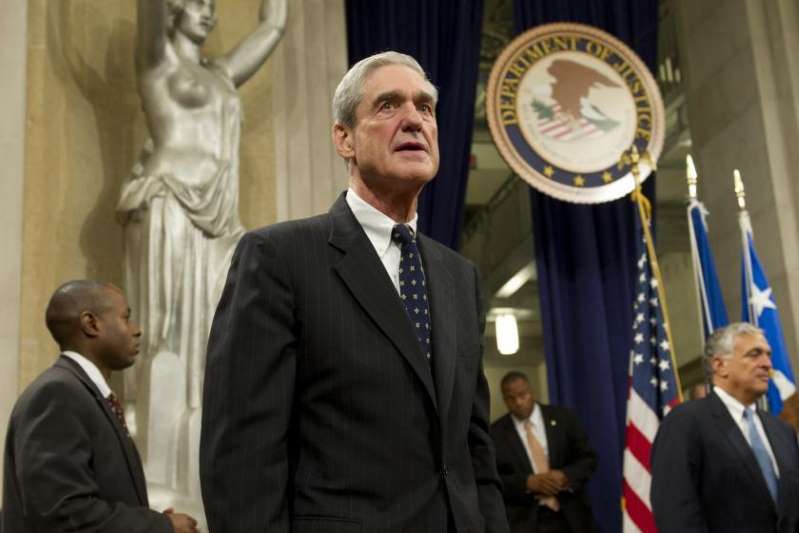 Any good lawyer knows never to ask a question he doesn't already know the answer to, so it's safe to assume that on all these areas, Mueller has already amassed a good deal of information from documents and the testimony of other people, many of whom are cooperating with his investigation. It's clear that Mueller is pursuing not just potential collusion with Russia, but the question of obstruction of justice. While Trump on Tuesday tweeted "It would seem very hard to obstruct justice for a crime that never happened! Witch Hunt! ", the truth is that you most certainly can obstruct justice whether or not there was an underlying crime. If you try to, you know, obstruct justice. But that's only one of the things Trump has to worry about. More serious may be the question of his "personal lawyer" Michael Cohen, whose home and office were raided not long ago by federal agents sent by the U.S. Attorney's office in New York. While they were acting in part on information gathered by Mueller, they are independent of him, and what they've learned may well produce evidence of criminality that Cohen was involved in. Which is a big, big problem for Trump. Michael Cohen may be looking at a long stretch behind bars, and when that prospect is in front of you, loyalty to your old boss can start to seem less like something admirable and more like something that makes you a sucker. Which helps explain why the National Enquirer — which has been practically a Trump house organ for the last few years — recently put on its cover a picture of Cohen under the headline "TRUMP FIXER'S SECRETS AND LIES." No one familiar with Trump's relationship to the Enquirer believes they would have run that story without the president's approval, and when CNN's Jim Acosta tracked Cohen down to ask him whether it was meant to send him a message, Cohen responded, "What do you think." Spoken like a man feeling beaten down. Cohen may have grasped that Trump figures he's going to sing to the feds eventually, so he needs to start discrediting him now. And Cohen just can't catch a break. The president may be turning on him, Stormy Daniels is suing him, and he just got hit with a $282,000 bill for unpaid taxes for his taxi medallion business. All of which could add up to a man without much left to lose, willing to tell whatever he knows. Amid the collection of grifters and crooks around Trump, Cohen is the big prize for prosecutors, not only because of his own legal exposure but because he was as close as anyone to the boss. It's hard to imagine Robert Mueller asking Trump questions about him and not walking away with something good. All of which is to say that Trump's worst fear about Mueller — that the special counsel is proceeding meticulously and systematically, and if there's something to find either about Russia or Trump's business, then he's likely to find it — looks to be coming true. Call me crazy, but I don't think we've seen the last of the angry tweets.